Sen. Susan Collins speaks to the media outside Bath Iron works, where she spoke during a ceremony marking construction of a new warship, Friday, Nov. 9, 2018, in Brunswick, Maine. BRUNSWICK, Maine — Republican Sen. Susan Collins of Maine says she wants the Senate to vote on a proposal to put restrictions on the president’s ability to remove special counsel Robert Mueller. Collins said she realizes President Donald Trump would never sign such a bill, but she said it would put pressure on him to let Mueller’s investigation run its course. 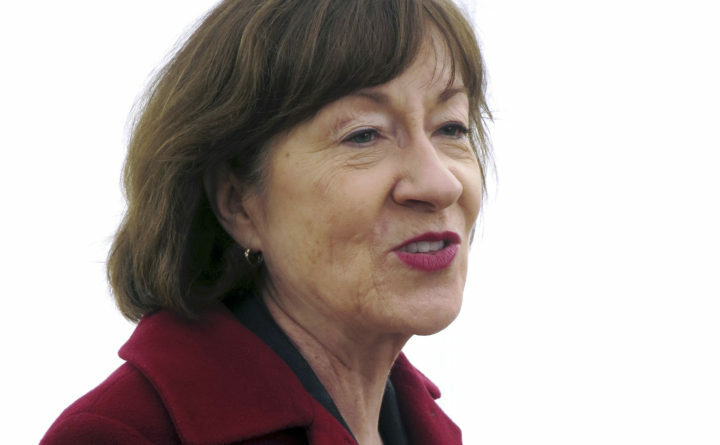 Speaking in Brunswick, Maine, Collins said she’s “very concerned” about the appointment of Matt Whitaker to serve as acting attorney general because of his comments about setting parameters for the probe into whether Trump’s presidential campaign coordinated with Russia in 2016. She said ousted Attorney General Jeff Sessions proved himself to be “an individual of great integrity” by recusing himself and allowing the sufficient resources for Mueller to complete the probe.